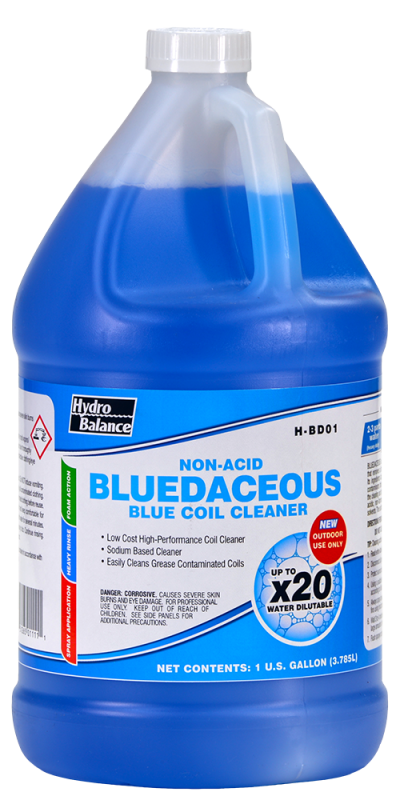 BLUEDACEOUS is a highly concentrated sodium-based cleaning system that removes a broad range of soils quickly and with minimum effort. 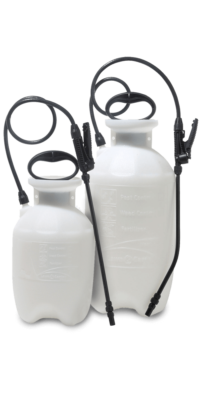 Its ingredients act synergistically to penetrate, emulsify and sequester contaminants that rinses away with water. 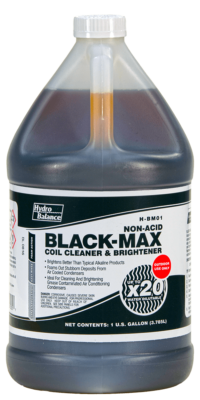 It is specially formulated for the cleaning and brightening of air conditioning condenser coils. 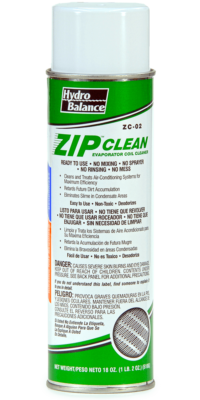 It is non-acidic, non-flammable and contains no toxic petroleum or chlorinated solvents. The surfactants used in BLUEDACEOUS are biodegradable. DO NOT USE ON INDOOR COILS. USE ONLY OUTDOORS. TIP: Cleaning action is accelerated if condenser coil is still warm from use. Read entire label & Safety Data Sheet before use. Disconnect all power before working on equipment. Protect surrounding area from over-spray. Using a suitable low-pressure sprayer, dilute BLUEDACEOUS with water according to dilution rates above. Always spray downwind with a coarse spray to avoid misting. Spray between fins using horizontal motion, working from the bottom up. Wait 3 to 4 minutes until foam begins to subside and rinse completely with large amounts of water. Flush sprayer completely with water after use.